Eraser Weed Kill is a post-emergent herbicide, meaning it should be applied after the weeds have germinated and started sprouting. The herbicide is non-selective, so it will kill any plant material with which it has contact. Proper mixing will ensure the product's efficacy. Apply the herbicide on a still day so the wind doesn't carry it to desirable plants or garden areas. 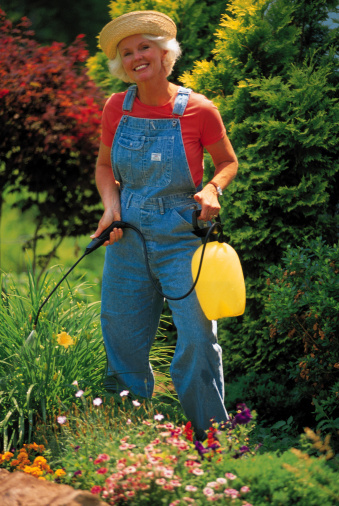 A garden sprayer allows for easy application of herbicides. Identify the weeds you want to kill as either perennials or annuals. If you cannot identify the weeds, take a photograph to your local garden center for advice. 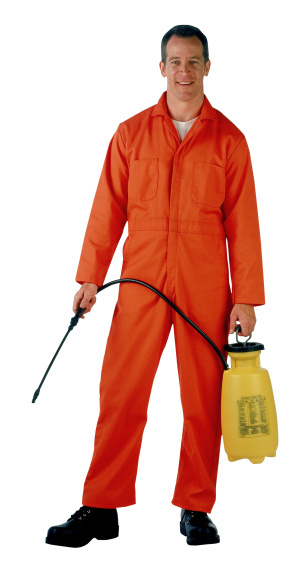 Remove the cover of a 3-gallon garden sprayer reservoir. Pour 1 gallon of water into the reservoir. Add 1-1/3 oz. 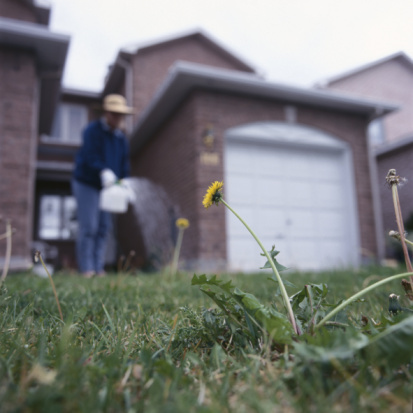 of Eraser Weed Killer if the weeds you want to kill are annuals. Add 2-2/3 oz. if the weeds are perennials. Replace the cover of the reservoir and shake it gently to incorporate the water and herbicide.